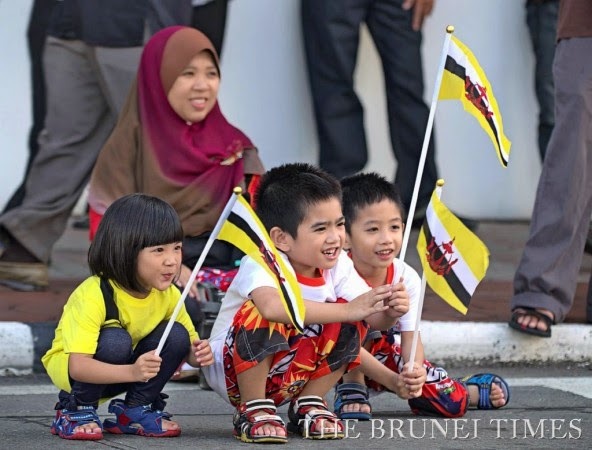 THE vibrant colours of the national flag reigned over the capital yesterday as more than 22,000 people descended upon Bandar to celebrate Brunei’s 31st National Day. 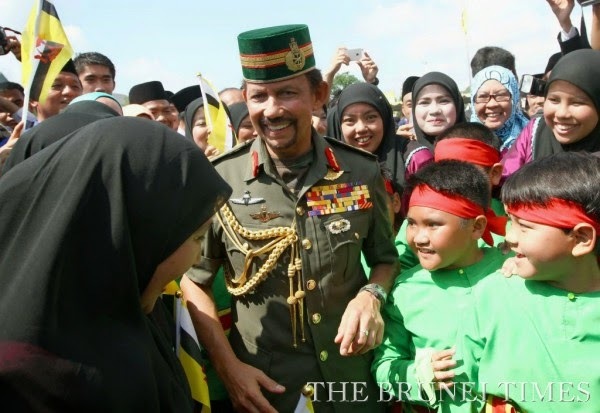 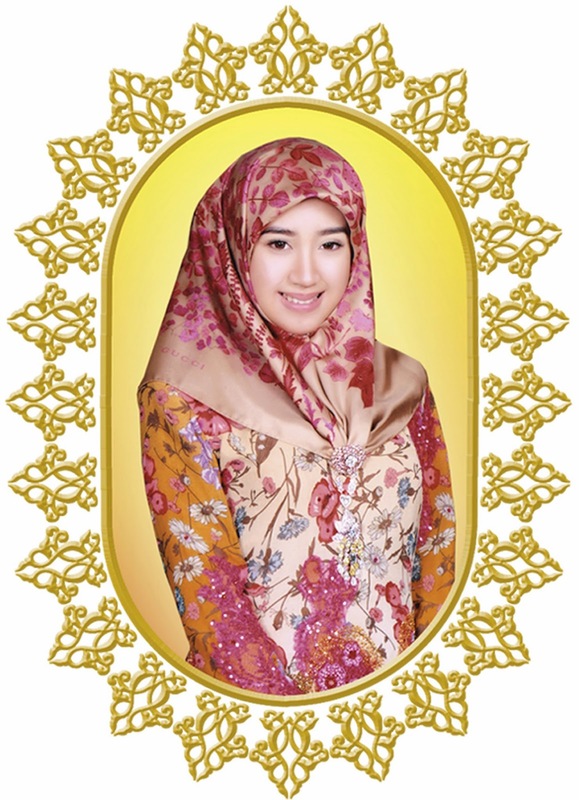 As the thick shroud of dawn mist slowly gave way to a blistering mid-morning sun, people from all walks of life poured into Taman Haji Sir Muda Omar ‘Ali Saifuddien (SOAS). 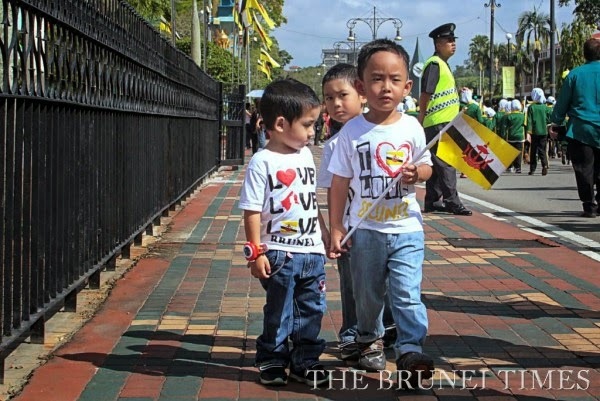 Flag-waving students lined the streets leading to the historic padang, where Brunei was proclaimed an independent nation on January 1, 1984.Anticipation reached a peak at 8.15am as the public eagerly welcomed the arrival of His Majesty Sultan Haji Hassanal Bolkiah Mu’izzaddin Waddaulah, the Sultan and Yang Di-Pertuan of Brunei Darussalam. 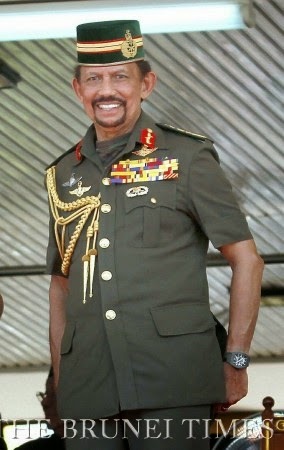 He was accompanied by several members of the Royal family, including His Royal Highness Prince Haji Al-Muhtadee Billah, the Crown Prince and Senior Minister at the Prime Minister’s Office, HRH Prince Mohamed Bolkiah, HRH Prince Hj Sufri Bolkiah, HRH Prince Hj Jefri Bolkiah, HRH Prince ‘Abdul Malik, HRH Prince ‘Abdul Wakeel and HRH Princess Ameerah. 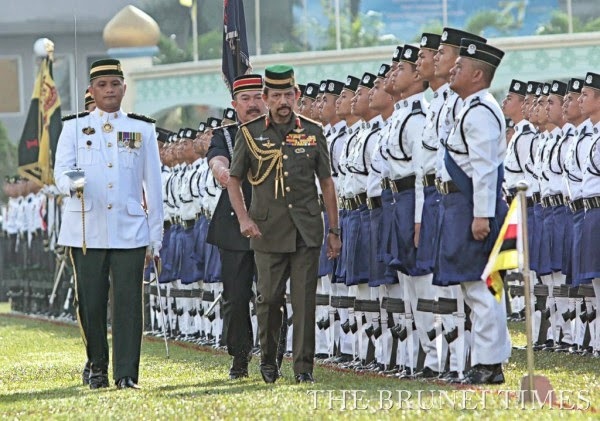 Dressed in the uniform of the Supreme Commander of the Royal Brunei Armed Forces, His Majesty saluted as the national anthem, Allah Peliharakan Sultan (Allah Bless His Majesty), rang out over the field with thousands standing in recognition of King and country. 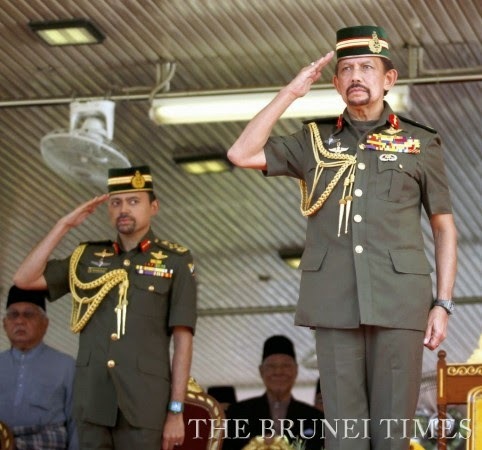 The Sultan then descended the dais briefly to inspect the guard of honour on the field. 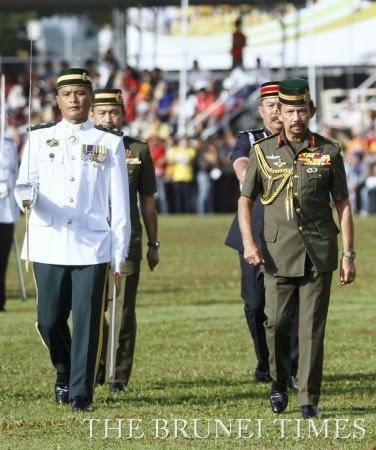 Senior government officials, foreign envoys, and other invited guests took their seats in the grandstand to watch the annual procession of 125 groups, comprising uniformed personnel, government agencies, schools, non-profit organisations and community associations. 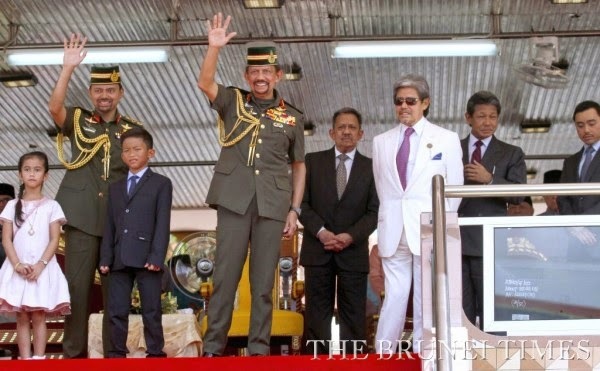 The parade kicked off with several flag-bearers ushering in a super-sized version of Brunei Darussalam’s national flag, with a choir and Royal Brunei Armed Forces band playing behind them. 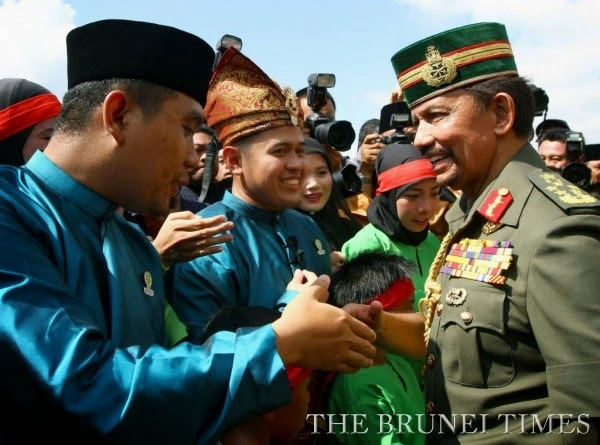 The Royal Brunei Armed Forces then took to the field in a seamless procession of army, air force and navy capabilities, displaying their weaponry and keen military precision as they circled Taman SOAS. 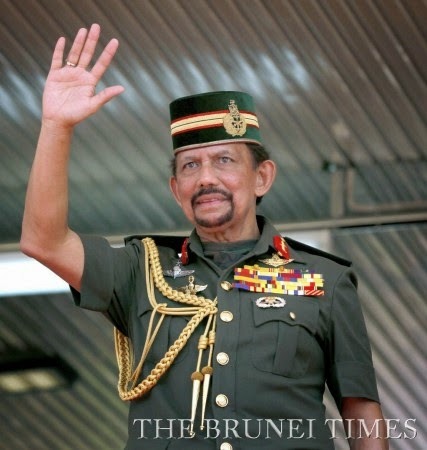 The monarch stood at attention for two hours as the parade of 22,000 people flowed past, acknowledging the dedication and loyalty the participants had shown to the nation. 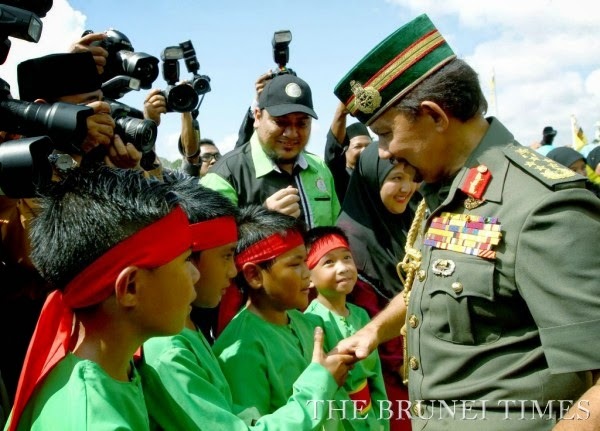 Trainees of the National Service Scheme (Program Khidmat Bakti Negara or PKBN) put on an impressive exhibition of a silent drill, and crowds cheered as special needs groups withstood the gruelling heat to walk past the Royal dais, bringing patriotic sentiment at Taman SOAS to an all-time high. 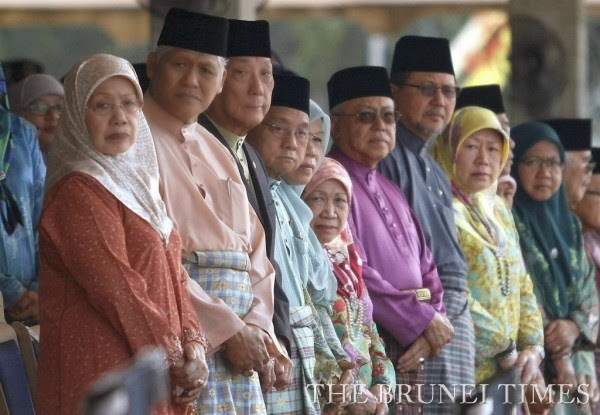 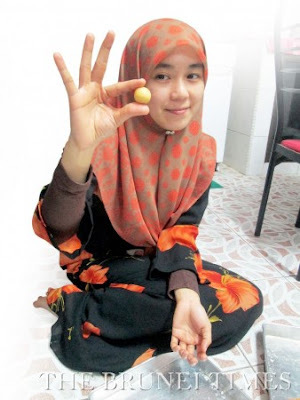 At the end of the march-past, the crowd fell silent as Hj Mohammad Shahrol Azmi Hj Abd Muluk, an assistant lecturer at Seri Begawan Religious Teachers University College, led the public in a stirring recital of the national day pledge. 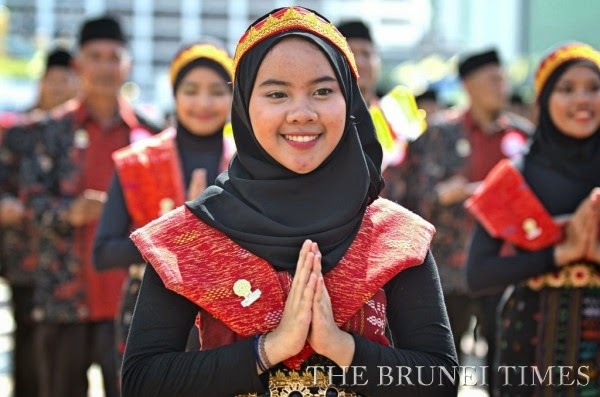 By 10am, the padang was almost at full capacity, with schoolchildren becoming restless in the sweltering heat before the finale performance. 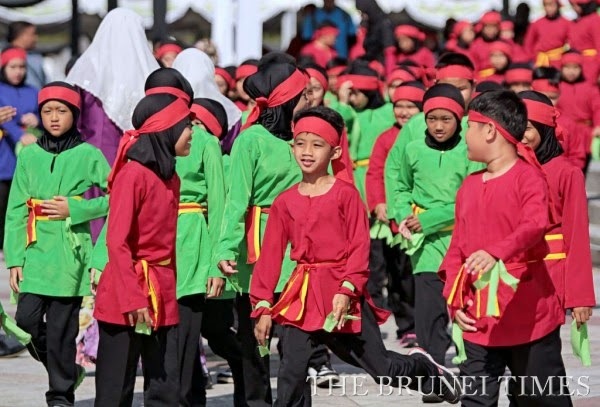 To conclude the event, Bruneian youth lit up the venue with a rousing field performance centred on the National Day theme – Generasi Berwawasan (Visionary Generation). 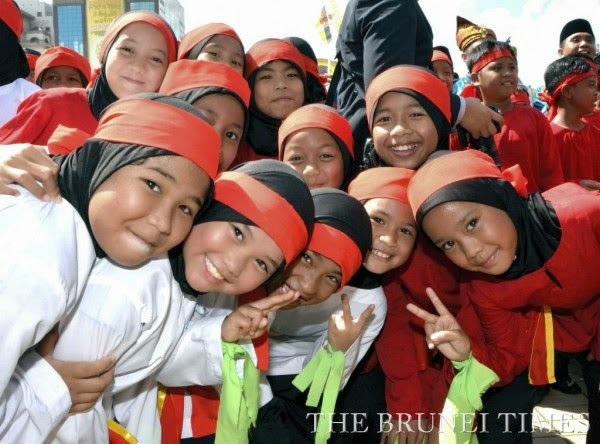 Some 7,900 students waved skillfully manoeuvered metallic yellow, green and red pom poms, to form the National Day logo. 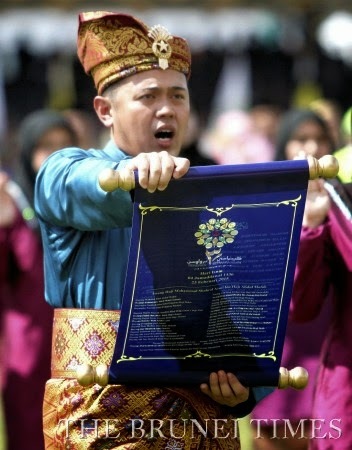 Culture, Youth and Sports Minister Yang Berhormat Pehin Orang Kaya Pekerma Laila Diraja Dato Seri Setia Hj Hazair Hj Abdullah gave a heartfelt speech to the participants expressing his appreciation for their efforts. 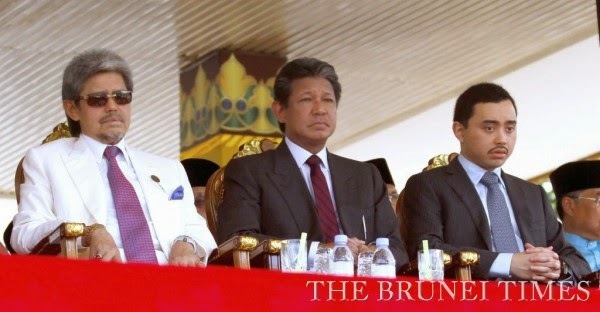 “The performance was tremendously successful, His Majesty was very pleased,” he later told The Brunei Times.